Almost the same as marrons glaces and delicious – sadly many of the tins arrived dented hence the promotion – but if it’s for personal use these are delicious! Large candied chestnuts in syrup prepared by Clement Faugier. An ideal topping for ice cream. Net weight of marrons 300g/ gross weight with syrup 540g. Storage: Store in a cupboard. Once open store up to a month ina fridge. 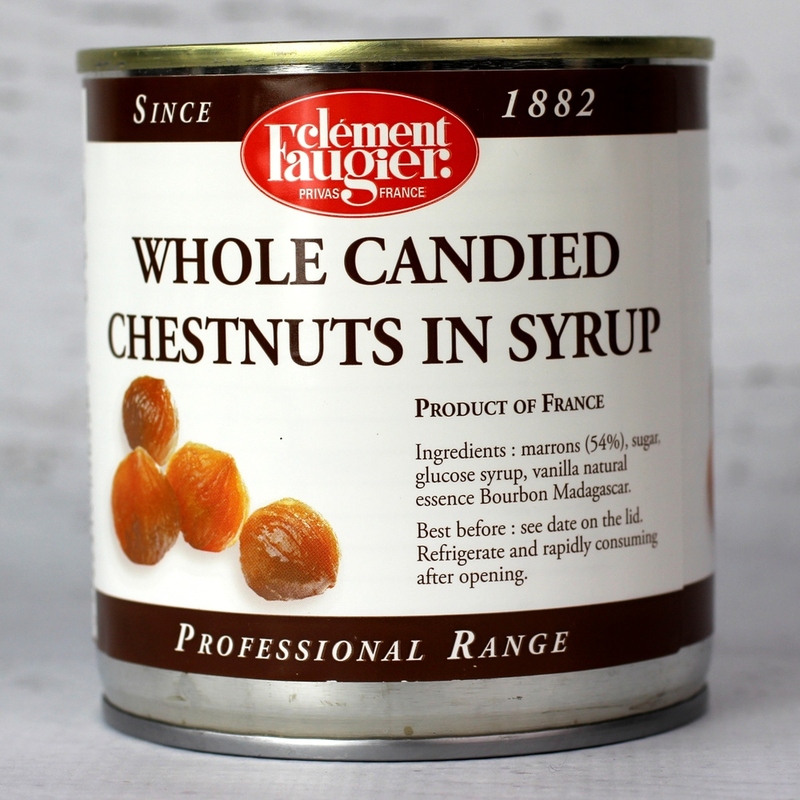 Candied chestnuts, sugar, glucose syrup, vanilla flavour.